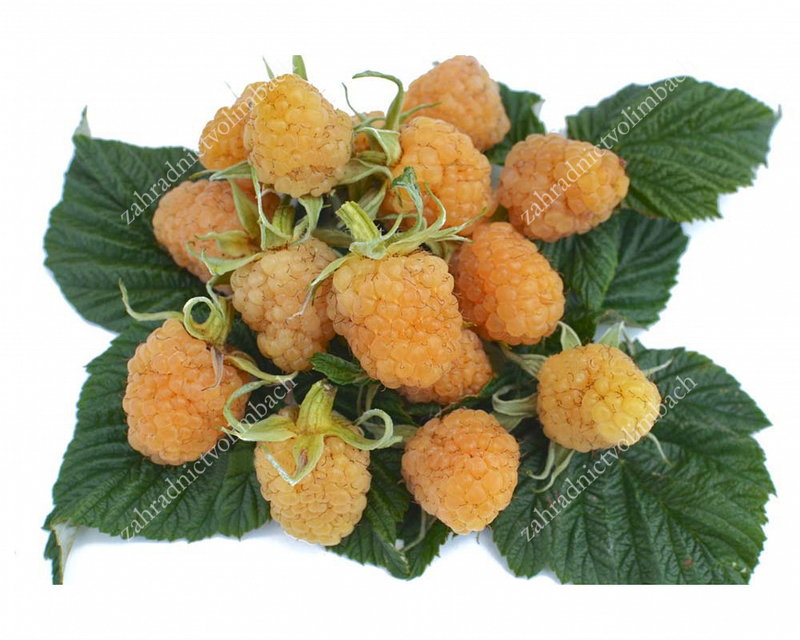 Medium early partly remontant yellow raspberry. 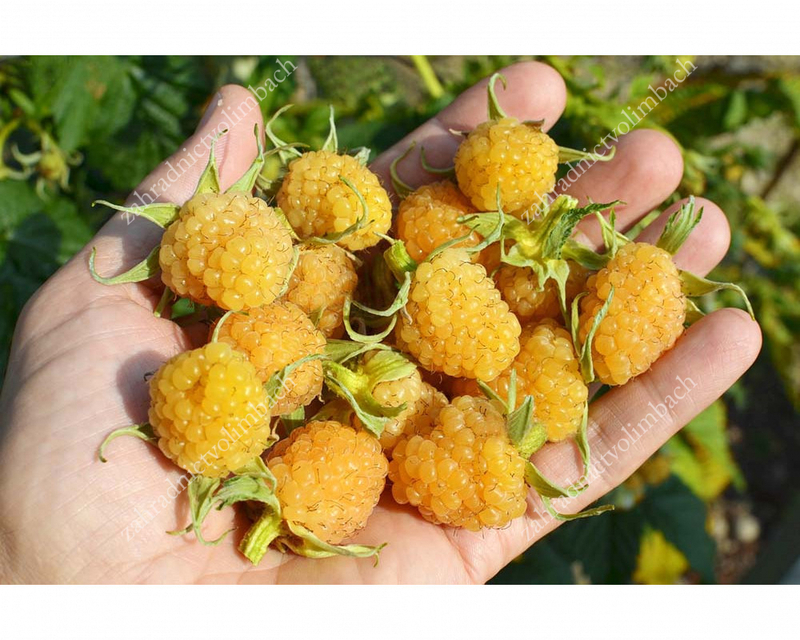 Belongs to the varieties with the largest fruits among the yellow-raspberries with excellent taste characteristics. Origin: Marosejka x Ivanovskaja. Grown in the fruit research institute VSTISP, Moscow. 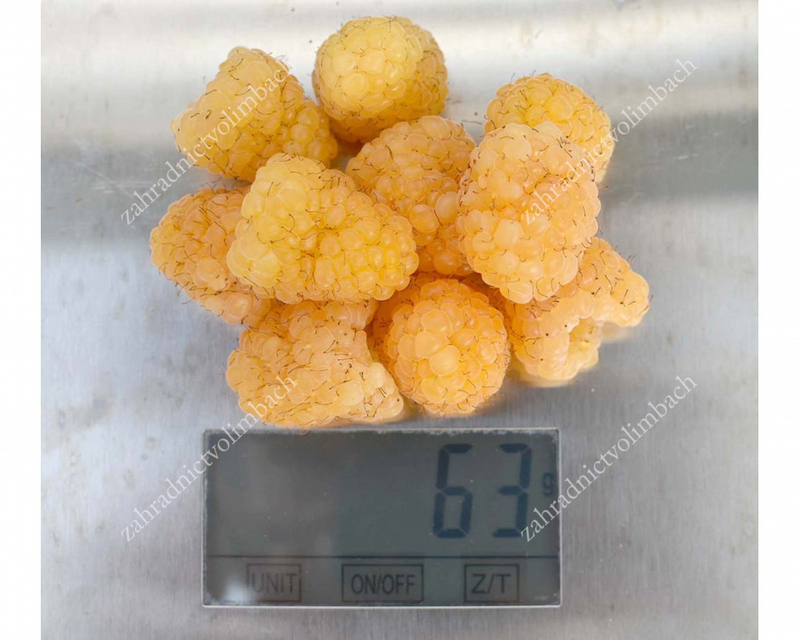 Shrub: is growing strongly, plant height 1,5 - 2,5 m. Shoots are thick, strong with spines. 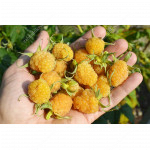 Fruits: round-conical, very large, attractive market appearance, in full ripeness deep yellow. 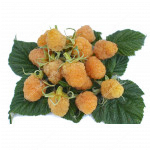 Weight on average 4 - 8 g.
Ripening time: mid-early, every year from 8 to 10 June, with a big harvest from 20 to 25 June. 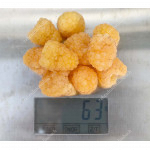 The second crop of biennial rods starts from mid-August to frost.